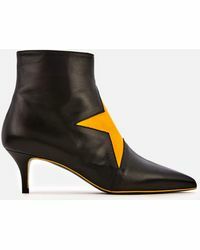 Massimo Giorgetti is the designer behind the MSGM label, which is renowned for its modern style that incorporates some exciting vintage influences. There is a boldness to the looks that means the label never shies away from clashing colours or exciting prints, and there is an energy to the designs, which is both sophisticated and feminine. 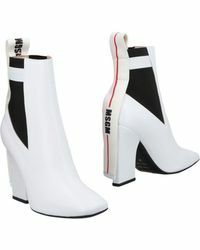 As well as the range of clothing and accessories, MSGM also produces footwear. 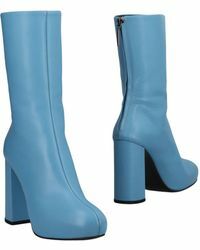 The boots range from MSGM includes monochrome tassel embellished patent leather boots, unique faux sock insert boots and tartan paneled patent leather boots. There are also designs with statement word print heels.